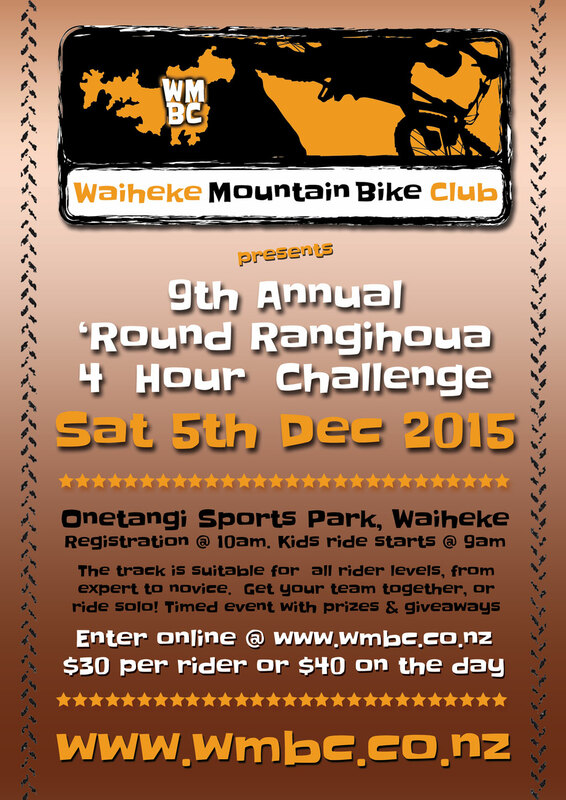 Waiheke Mountain Bike Club is pleased to announce the details for the 9th Annual ‘Round Rangihoua Challenge 2015. 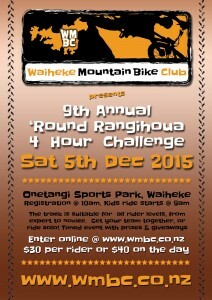 Where: Onetangi Sports Park, Waiheke Island on Sat 5th December 2015. Cost: To be confirmed, but last year was $30 in advance $40 on the day (per rider). 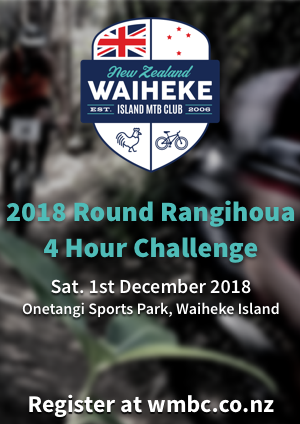 This entry was posted in Latest News, Past Events and tagged 2015, Mountain Bike Challenge, rangihoua challenge, round Rangihoua, Waiheke Bike Race by Mark. Bookmark the permalink.